Home / Breaking News / Featured Article / Yacht Chef News / Yacht Industry News / French Social Security – what are your options? No Comments on French Social Security – what are your options? 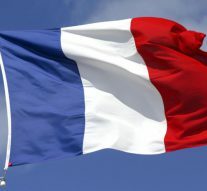 This article was just posted on superyachtnews.com website http://www.superyachtnews.com/crew/french-social-security-options so I have reproduced it here for chefs to see options.. If the employer refuses, they may be subject to claims of “hidden employment” which can result in fines of up to €45,000, three years’ imprisonment and damages calculated on the basis of six months’ gross wages. « Previous Article Ships Cook Cert Article - Prior Accreditation needs to be taken seriously!